Happy Friday!! It has been a snowy day so we are enjoying snuggling up and taking care of my to do list because it is LONG! I love getting dressed up like these photos, this skirt is super dressy and so cute just paired with a simple black long sleeve! You know me and I love stripes so as soon as I saw this skirt I just had to have it! 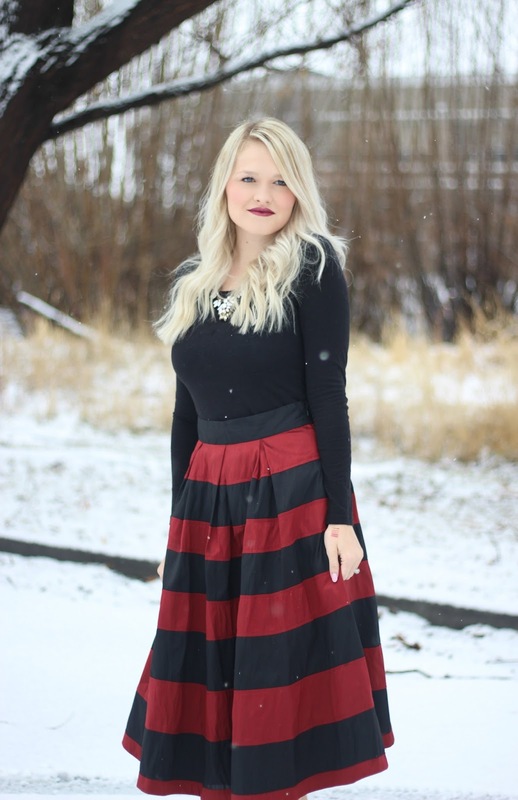 This skirt will be perfect for a Valentines party! I hope you all have an amazing weekend!